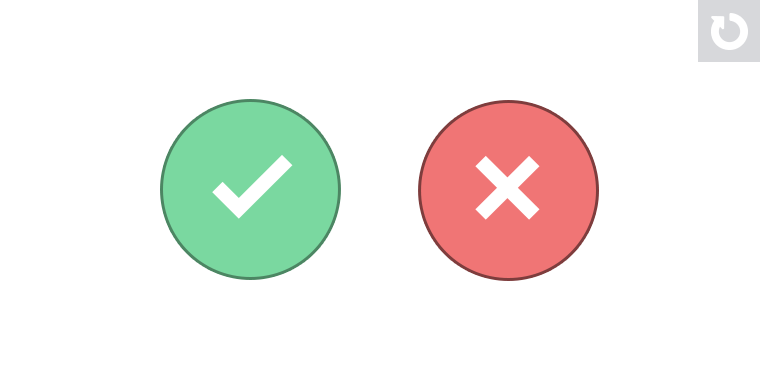 How Can Starter Templates Help E-Learning Designers Build Better Courses? One of the biggest challenges new course designers face is visualizing how their 10,000-word script or storyboard will work as an e-learning course. The visual design is less of a factor than the general structure for the course content. 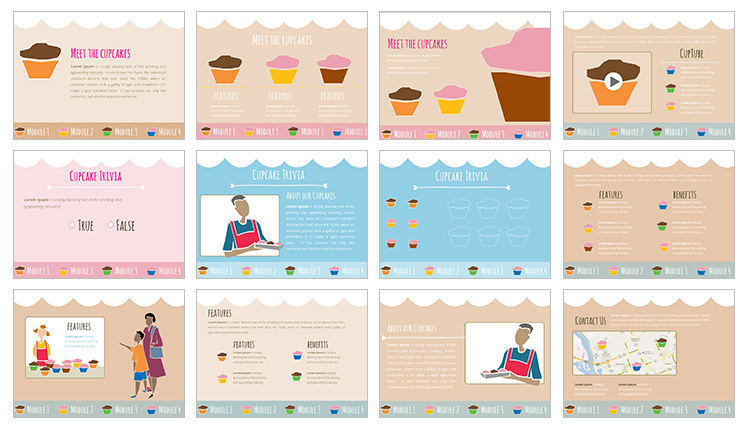 Earlier this week, Joanna Kurpiewska shared a gorgeous 8-slide starter template for Articulate Storyline. Her template reminded me of how important multi-slide templates are for new users. We share a lot of single-slide interactions in our downloads hub. While those interactions are helpful to designers who have been building courses for a while, new users often want something a little more complete, which brings us to this week’s challenge. 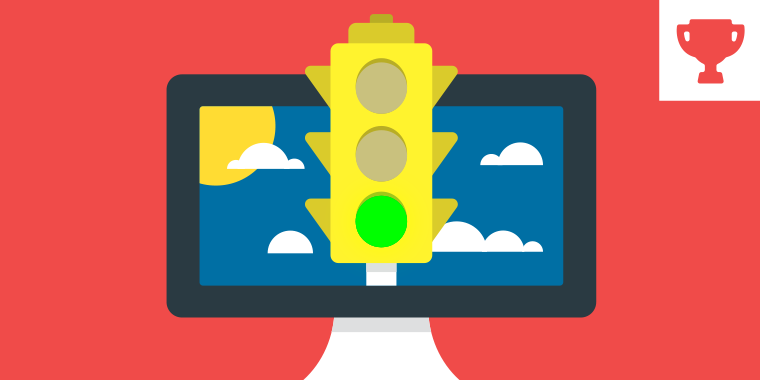 What are Course Starter Templates? Course starters are multi-slide templates that include a combination of the most common e-learning content and interaction slides. 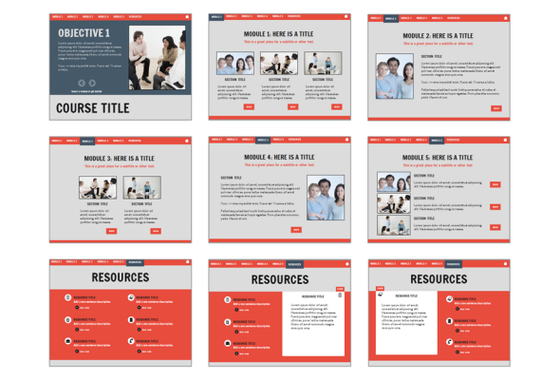 Starter templates provide a structure to the design, layout, and flow of an e-learning course. They don’t include every possible slide type, but they include enough slides to give users a working model from which they can begin assembling their projects. Let’s look at a few examples from our downloads section. This template is available in both PowerPoint and Storyline in our downloads hub. The template features three main sections for objectives, modules, and resources. Five modules, each with a unique layout, were created to give you plenty of options to get started. This medical-themed, 12-slide course starter features animated content slides, practice interactions, and graded quiz questions. E-Learning Challenge #8 is still one of my favorites. In that challenge, designers were asked to take a single clip art file, break it apart into usable pieces, and create a fully working course starter template. 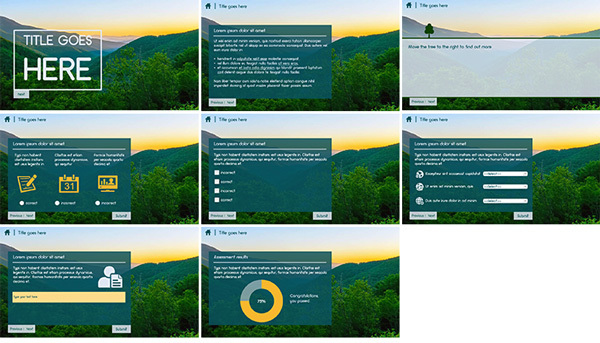 The slides included tabs interactions, media slides, drag-and-drop activities, true-false quizzes, and more. Pretty neat, right? This week, your challenge is to share a course starter template that contains at least six slides. You can share more, but the goal is to find the most essential content slides course designers would need to start building a course. Please include a combination of introduction, content, quiz, and summary slides. You’re welcome to add more slides, but include at least six slides in your template. You can share your course starter in Articulate Storyline, Articulate Studio, or something as simple as PowerPoint. We just want to see what your most-used content slides look like. Here are a few resources to help you get started. Wishing you a template-tastic week, E-Learning Heroes! The weekly e-learning hallenges are ongoing opportunities to learn, share, and build your e-learning portfolios. You can jump into any or all of the previous challenges anytime you want. Just post a link to your demo in the comments section and I’ll update the recap posts to include your work. Hey everyone! Just a quick note to let you know the course starter recap is posted: https://community.articulate.com/articles/course-starters-elearning If I missed your entry, please let me know so I can add it to the recap. This is one of my favorite challenges!